Networking giant Cisco Systems said today that it will pay $2.7 billion for Sourcefire, a security equipment company based in Columbia, Md. The deal was announced in a corporate blog post. Sourcefire specializes in intrusion-detection appliances. Its products are based on open-source intrusion-detection software called Snort, which it created. It was started in 2001, has about 650 employees and reported sales of about $220 million in 2012. Back in 2005, the U.S. government blocked an attempt by the Israeli security company Check Point to buy Sourcefire. Cisco is paying $76 a share, which amounts to a 28 percent premium over Sourcefire’s previous closing price. It first went public in 2007, following a series of venture capital investments by firms including Meritech Capital, Sequoia Capital, Sierra Ventures and New Enterprise Associates. It is Cisco’s seventh deal this year, and its largest of the year so far. Its largest recent deal was last year, when it paid $5 billion for the Israeli video software firm NDS. It’s also a slightly unusual deal, given Cisco’s recent preference for buying non-U.S. companies. The deal will bolster’s Cisco’s offerings in security, an increasingly competitive area for companies in both the networking and enterprise security businesses. 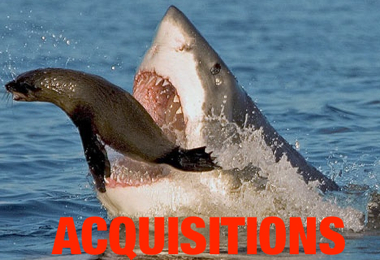 The deal is also being seen as a possible catalyst for acquisitions of other companies in the security space. Shares of Fortinet are up by nearly five percent, while shares of Palo Alto Networks are up by more than one percent on the speculation.